Do you soon organize a barbecue, catering, party or company party and does your refrigerator not have enough space? We rent the right refrigerated truck for every occasion. This is delivered hygienically and has a nice fresh look. We also have a refrigerated vehicle that can both cool, freeze and heat. 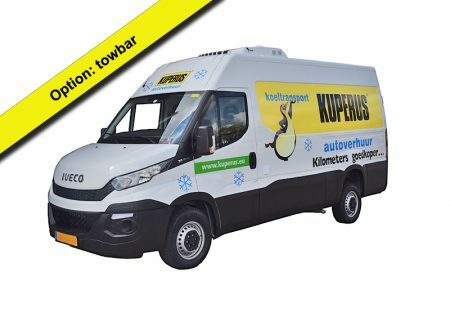 Always travel refrigerated with our refrigerated trucks that cool down to -5 ° C.
If you want a 18m3 refrigerated truck with a tailboard or cool/freeze/warm 18m3 van with tail lift and side door hire at Kuperus Autoverhuur Hilversum. We exist since 1953 and have been a familiar sight in Hilversum, Het Gooi and surroundings for years. Always travel refrigerated with our refrigerated trucks or vans that cool to -18 °C. Do you soon organize or organize a barbecue, catering, party or company party and does your refrigerator not have enough space? We rent the right refrigerated truck or van for every occasion. This is delivered hygienically and has a nice fresh look. Our largest refrigerated vehicles can both cool, freeze and heat. 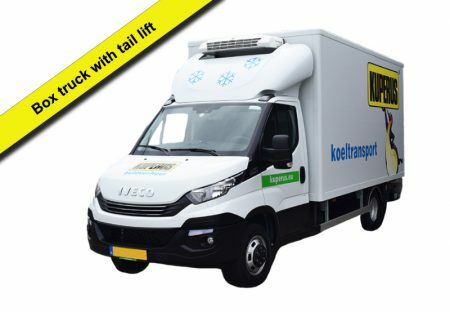 Are you looking for a more compact and refrigerated van? Please take a look at the 6m3 or 10m3 coolers. 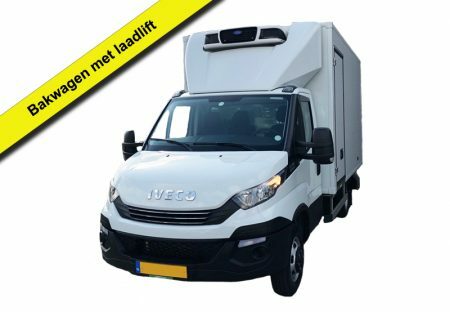 Do you want to rent a MultiTemp fridge/freezer/warm WhiteLabel 18m3 box truck with loading lift and side doors, we have it in the fleet! This variant is equipped with the modern MultiTemp Carrier Pulsor 400 cooling installation and has two compartments, both of which can freeze, cool and/or heat; You can set it yourself the way you want. This truck also has night power (380 volts), tie rail, fixed partition and temperature registration with an on-board printer . This vehicle is ideal for the pharmaceutical industry, soil samples and even the transport of blood! Do you soon have or organize a barbecue, catering or (company) party and your fridge does not offer enough space? Would you like to drive ad-free with an unprinted vehicle? 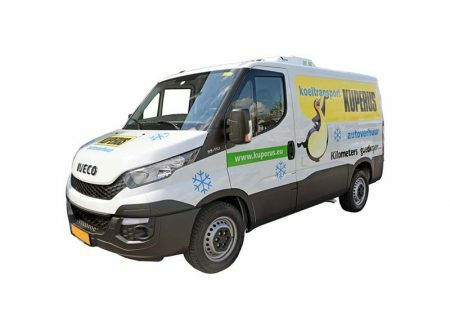 Are you looking for a more compact and cooled delivery van? Then have a look at the 6m3 or 10m3 cooling buses. Rates are per day including insurance and 100 km free; including 21% VAT. We can guarantee the class, but not the model.